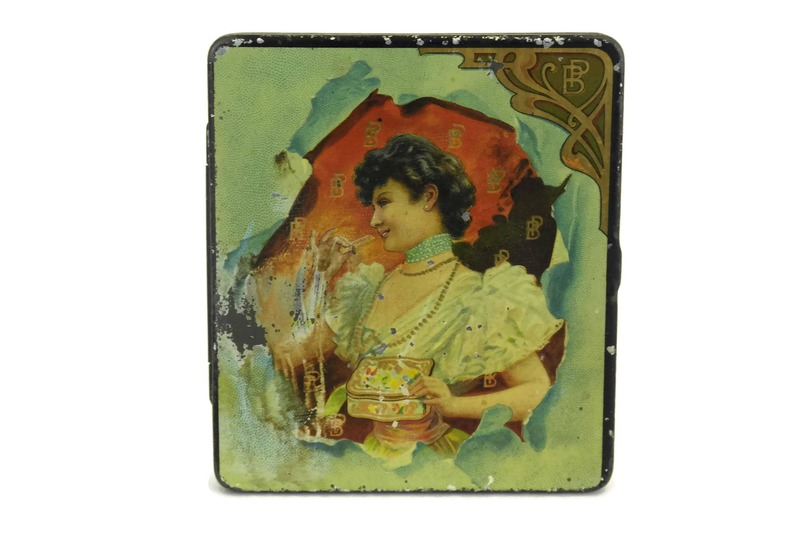 French Art Nouveau Woman Portrait Biscuit Tin Box. 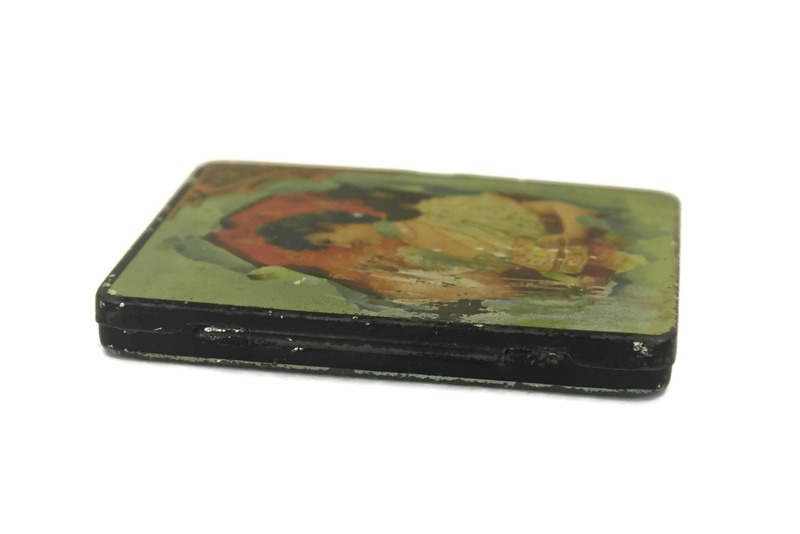 Small Antique French Candy Litho Box. Belle Epoque Advertising for Pernot Biscuits. 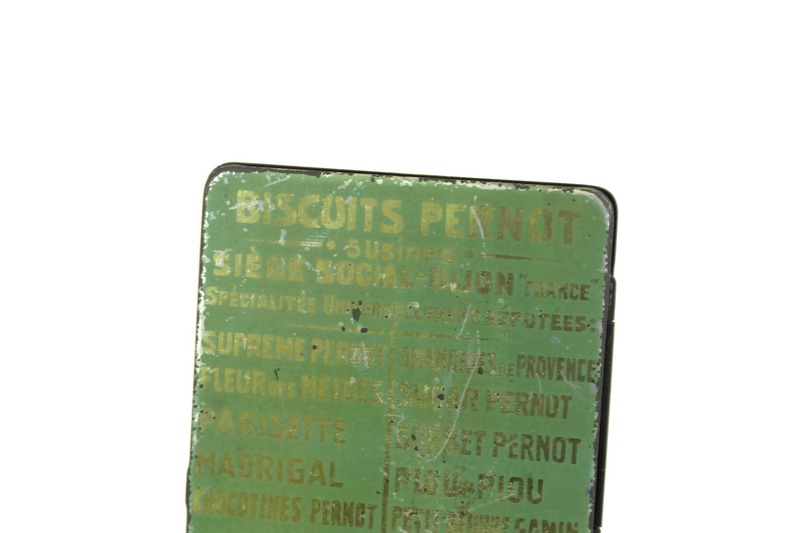 A lovely French Art Nouveau biscuit tin box manufactured in France in the 1920's by the renown Pernot biscuits Manufacturer. 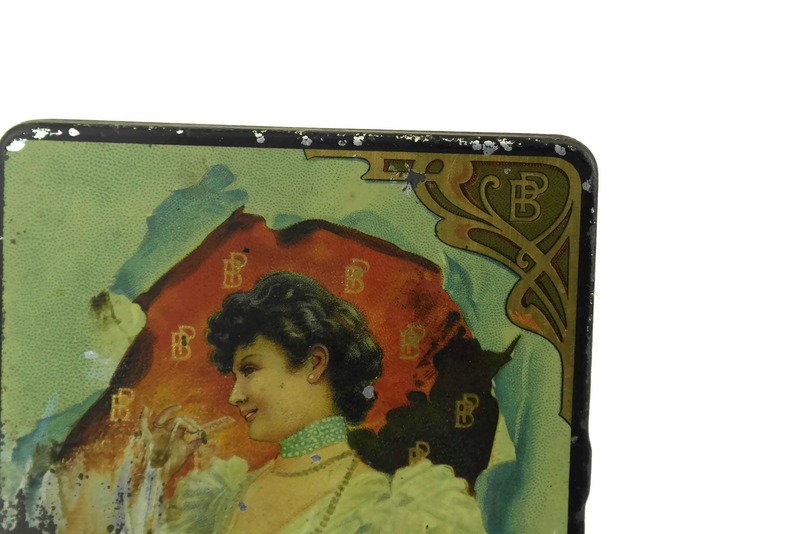 The slim box features a lady from the Belle Epoque holding a biscuit in her hand and a box on the other. 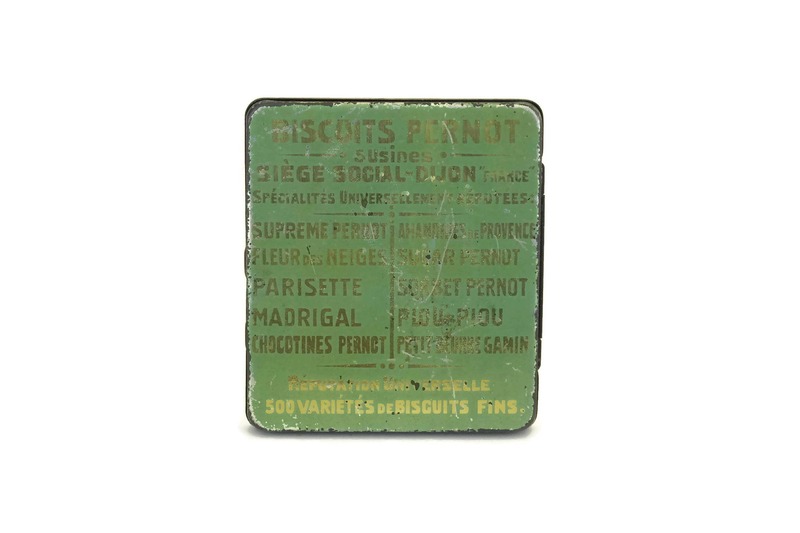 The small square hinged box has been lithograph printed on the other side with advertising text for the Pernot brand of biscuits. 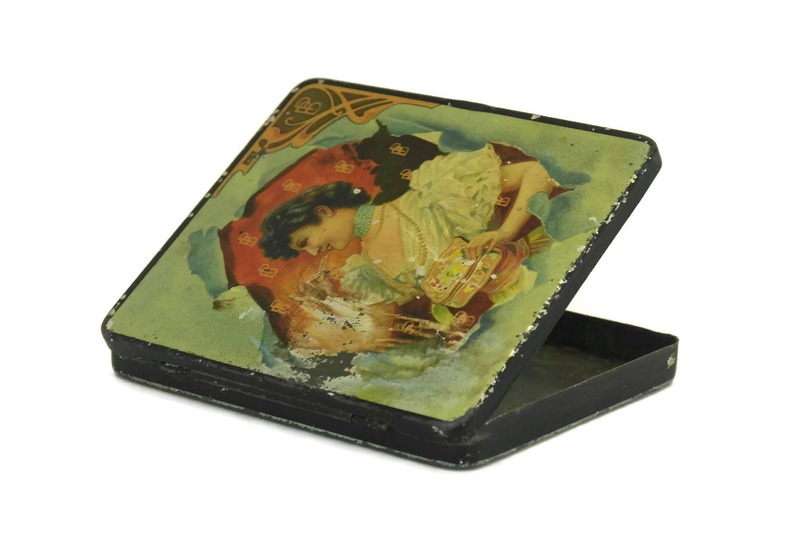 The Art Nouveau tin box is 3 1/4" long x 2 3/4" wide x 1/3" thick (8 cm x 7 cm x 1 cm). 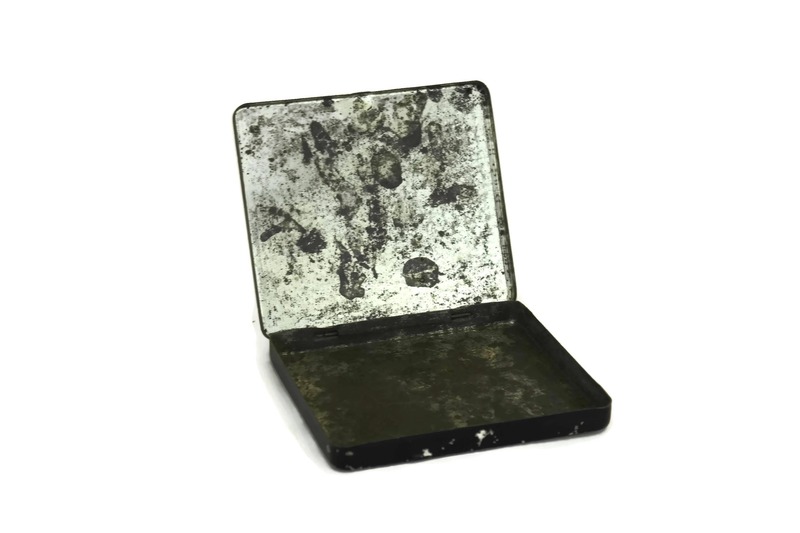 The Pernot Advertising box is in good antique condition with age-appropriate wear including surface marks, scratches and loss to the lithograph image. 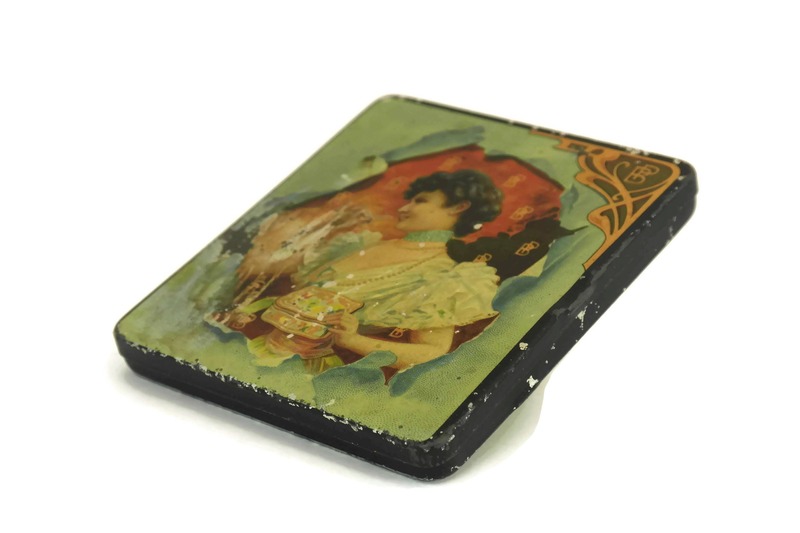 Item ref: French Art Nouveau Woman Portrait Biscuit Tin Box. 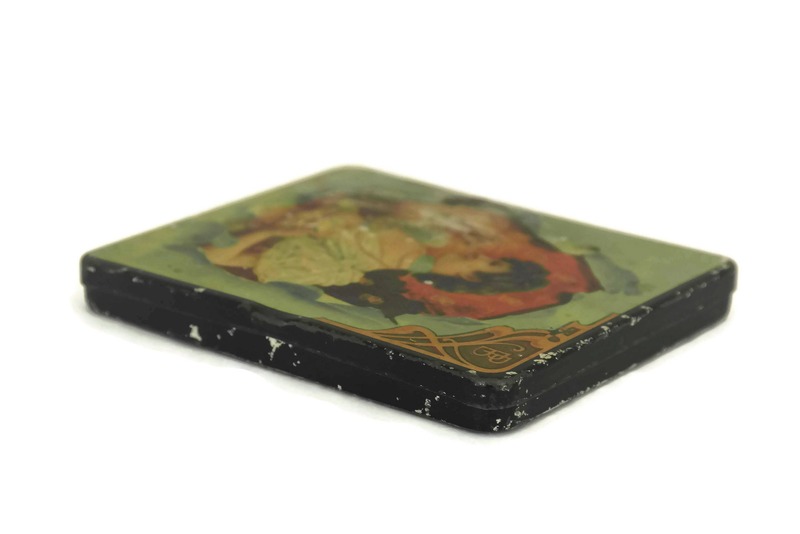 Small Antique French Candy Litho Box. Belle Epoque Advertising for Pernot Biscuits. 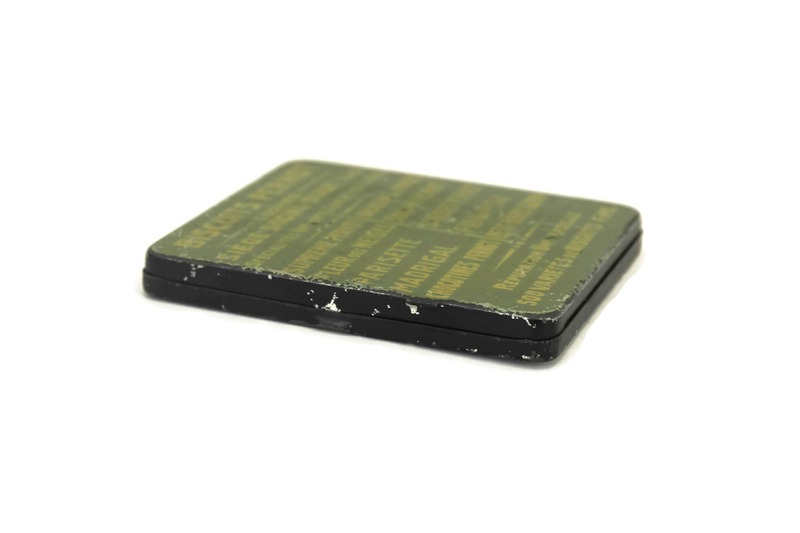 Little tin box is adorable just as described. Packing was excellent. Shipped promptly with tracking number. Fabien from LeBonheurDuJour is very responsive and a delight to work with.